Burdock (arctium lappa) is traditionally used to support skin conditions such as eczema, dry skin, and acne. Also promotes the detoxification process in the body. Burdock is an herb native to Asia and Europe. The root of the burdock herb is the primary source of its medicinal properties. Burdock is widely supplemented for its ability to help alliviate dry, scaly skin conditions such as dry skin, exzema, and psoriasis. In recent years, burdock is grown in popularity for its ability to treat acne. The burdock root contains high amounts of inulin and mucilage which studies show is linked anti-inflammatory and soothing properties. When supplemented burdock can help cleanse the body from the inside, helping to heal skin conditions such as acne rosacea and acne rosacea. 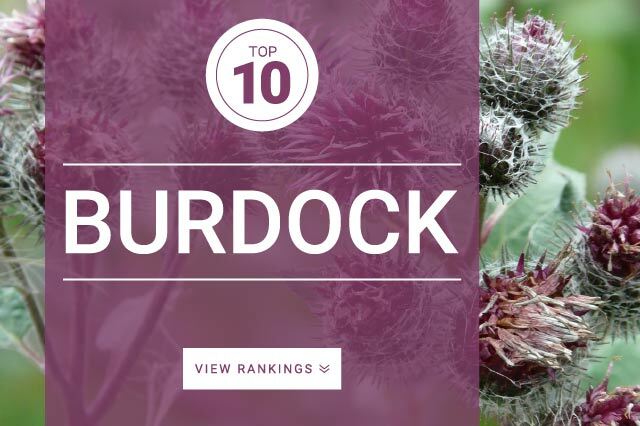 Burdock has a long history of being used to help treat individuals suffering from eczema. In alternative medicine text books, burdock is known as a blood purifier, believed to clear the bloodstream of toxins. Although not throughouly tested, studies show that burdock may help treat painful joints. The standard dose for Burdock is 1,000 mg to 2,000 mg taken 3 times per day.